As soon as the Red Bull cans have been filled, they're transported from Austria and Switzerland to more than 171 countries worldwide. The cans travel long distances, whenever possible by ship and rail. Transportation by truck is the last resort when there's no other means of delivery - it remains Red Bull's priority to allocate ever more transport to rail and shipping. A can is easy to transport because of its form and low weight. 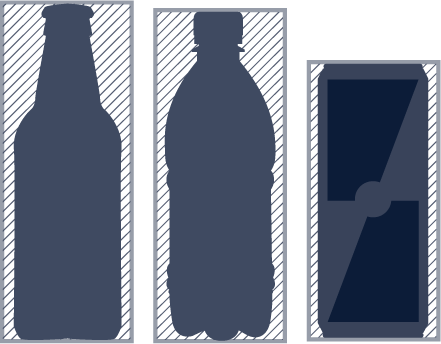 Thus, it can be said that the can is an ideal transport packaging, especially when compared to other forms of packaging: it saves about 40% in truck loads compared to glass bottles and about 30% compared to PET bottles.